Anndd I’m back!!! Hello everyone! I know it’s been a hot minute since my last post. #MomLife has been in full swing and has gotten the best of me to be very honest. I wish I could say life is always picture perfect outfits, a tidy house and baby nursery or a week full of social events & date nights. But the reality is the last few weeks have been tough on everyone, so I felt it best to take a mini break to ground myself and recharge. During my mini sabbatical, I got to re-connect with family, friends as well as my relationship with Netflix LOL. But seriously, I was over the moon to hear from girlfriends that they are expecting & see that a very special princess has made her arrival (S/O to the cutest little girl, Lila Marie Acosta-Nijamkin). So many of you have been reaching out to ask about my favorite baby products, that I thought I'd share over the next few weeks my “must haves”. This week I’m sharing what I call the “Big Ticket” Items that are worth their price tag. UPPAbaby Cruz Stroller with Bassinet (in Taylor)- Searching for the perfect stroller can be an all day event at Buy Buy Baby. Not to mention the countless hours of lots of online research on features and product reviews that one does before they make the big decision. But it was worth all that time and work when my husband and I decided on the UPPAbaby System. I was looking for a lightweight, compact and easy to maneuver stroller that not only had a bassinet feature, but could easily attach a Car Seat as well. The simplistic and chic design of the UPPAbaby caught my attention immediately. Once I started to look at all the features (e.g. large basket at the bottom, car seat can be attached, stroller accessories) and played with it in the store, I know this was the stroller system for us. I really liked that it came in a variety of colors and had a nice number of accessories that can be used at various stages (e.g. Infant Insert, Snack tray, Parent organizer, Rain shield, etc.). Plus, I couldn’t beat the price point after I realized the longevity I would garner from this product. Once I started to look at all the features (e.g. large basket at the bottom, car seat can be attached, stroller accessories) and played with it in the store, I know this was the stroller system for us. I really liked that it came in a variety of colors and had a nice number of accessories that can be used at various stages (e.g. Infant Insert, Snack tray, Parent organizer, Rain shield, etc.). Plus, I couldn’t beat the price point after I realized the longevity I would garner from this product. 1. Consider a neutral color! I chose an dark blue since I wanted something that would be durable when it comes to milk and food stains as well as normal wear and tear. 2. HIGHLY recommend a stroller that has or offers a bassinet feature. Penelope used the UPPAbaby bassinet until she was about 6 months old and I loved that she always had a flat surface to rest her head whenever I was out and about. PLUS it can be used as actual bassinet for your bedroom, you just need to purchase the bassinet stand. 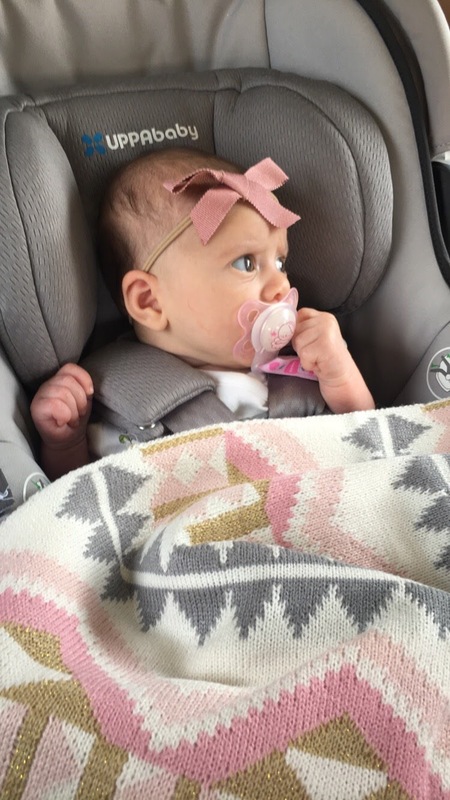 UPPAbaby Mesa Infant Car Seat (in Pascal) - When it came to my carseat, it was a no-brainer when it came to registering for the UPPAbaby Mesa Infant Car Seat. Again, simple & chic design BUT most importantly, very high safety rating on almost every website I checked. I loved how light it was and that it automatically attached to the Cruz Stroller without any adaptors. Also it’s insanely easy to clean the infant cover. 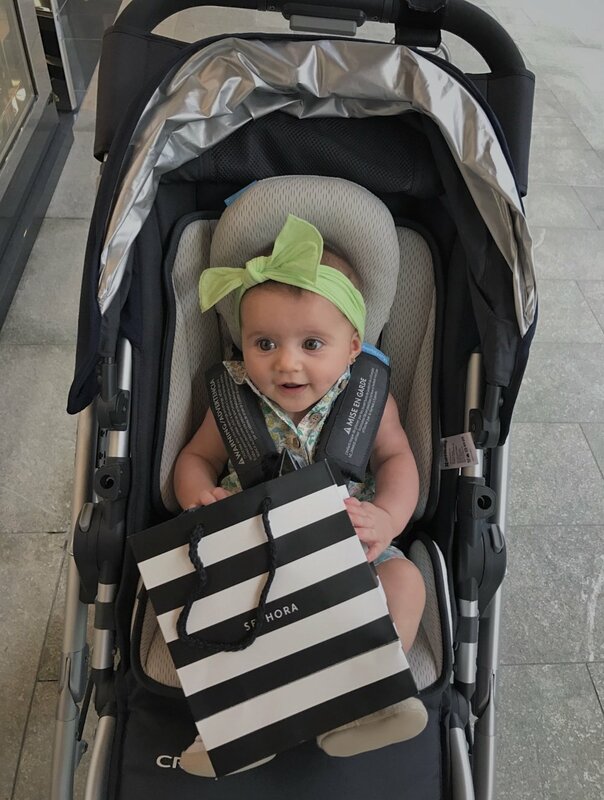 If I recommend ANY product(s) on this list, it truly is the UPPAbaby Cruz Stroller and Car Seat because this brand has simply delivered on being safe, simple to use and chic. Graco Pack n Play - From diaper changes, afternoon naps, play dates at the park to sleeping in one during a hurricane, my Graco Pack n Play has been with me and Penelope every step of the way since the day we brought her home. This was my go-to product almost every day while I was on maternity leave and it’s continuously being used by me and my family. Think convenience when it comes to the pack and play and what you will need it for as you prepare for your baby. Since our home is two stories with all bedrooms being upstairs, Alexis and I wanted a changing table as well as place for Penelope to sleep and play that could be conveniently placed downstairs. The Graco Pack n Play gave us that and more. Definitely look to add this to your registry or consider it as a gift, it truly is something any new parents will appreciate. Motorola Infant Camera- True story: I’m a worry wart. I tend to play a million different scenarios in my head about how anything and everything will play out. I blame my mom for this trait since she also tends to be ball of nerves (Thanks MOM! LOL). So one can imagine my nerves were HIGH when Penelope arrived. One of the scariest things is a newborn baby sleeping when you get home. WOW! For 10 months, I probably read everything and anything that had to do with SIDS, so as you can imagine I was bit on edge. But with everything in life you find the balance and get into a routine where you feel comfortable and my Motorola Infant camera helped big time. I loved being able to watch her, read the temperate in the room to determine if it was too hot or cold, play music for Penelope as she napped or ask my husband for something via the microphone feature. It helped me and it will definitely help you if you worry as much as I do! Peg Perego Siesta High Chair (in Black) - Okay people, although I don’t live in a “tiny house”, my home didn’t have a lot of space to begin with prior to Penelope. 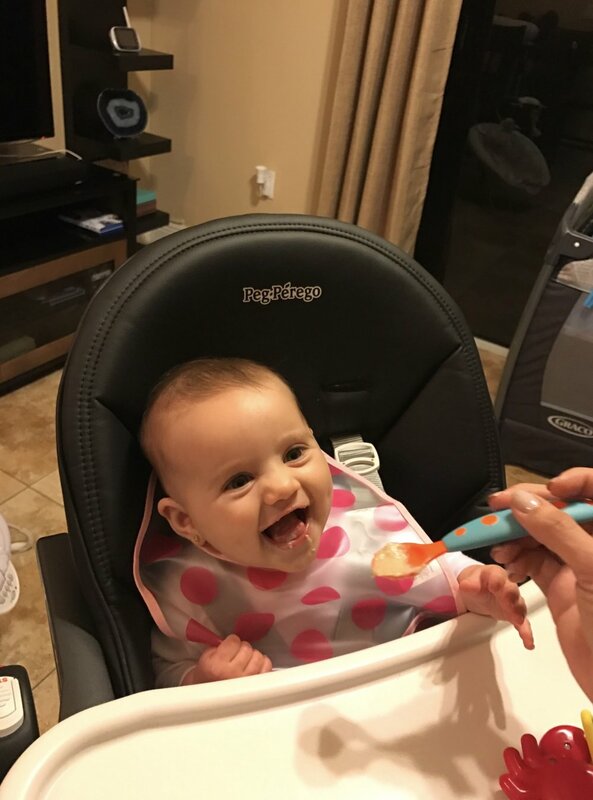 High chairs can take up a nice chunk of space in the corner of your kitchen or dining room, so when a friend recommended the Peg Perego Siesta High chair I was sold. The convenience of being able to fold this chair up and have it fit between my couch and kitchen counter is priceless. It’s super easy to clean, the seat can go be raised or lowered to fit your desired level for feeding or playing and you can also recline the chair. It comes in a variety of colors and the leather seat makes it feel a little more luxurious. So, if you are a Mom looking to maximize her space and find a high chair that will grow with your child over the years, check out the Peg Perego Siesta. Thanks for reading along on the first post in the Wanted: Baby Products series. Over the next few weeks, I will be sharing more of my favorite products and brands that worked for me in hopes that you will be able to enjoy them with your little one as I have with Miss Penelope. Feel free to share your recommendations, stories or shoot over any questions you may have!